Sorry-this class has filled. If you are interested and didn't make sign-ups for this session, please either call or email the shop. We will set up another time for an additional session if we have more interested! 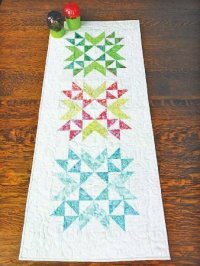 Such a sweet table runner-this could be another great start to your Christmas quilting projects-or use bright colors to compliment your room. 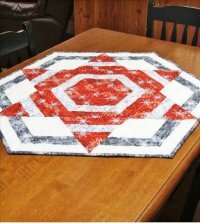 Learn to do those "perfect" points and fabric choices to create this stunning piece. Pointy points are not a problem when we use the Starburst Ruler by Creative Grids. 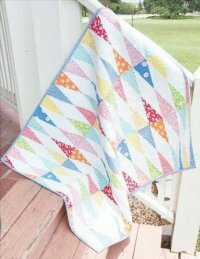 This adorable quilt is the perfect size for a baby or a quick throw for the couch or table. 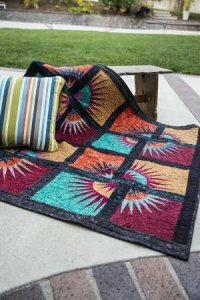 Fast and accurate, you will want to take this technique further and create large quilts or seasonal runners! A wonderful way to increase your quilting knowledge. 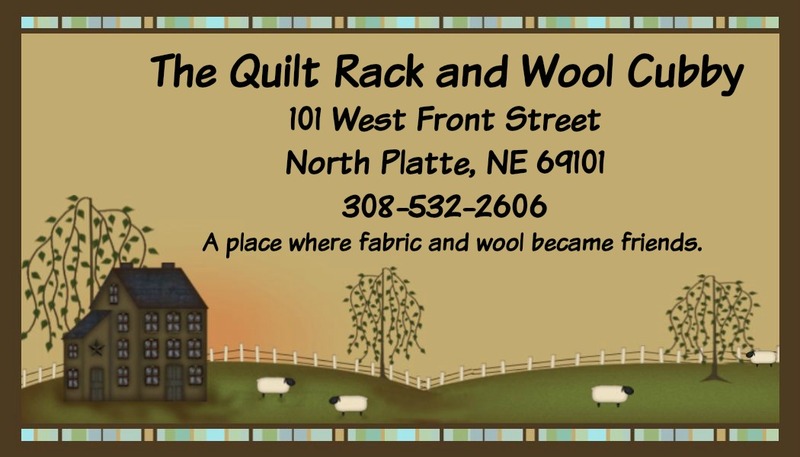 The Solar Eclipse is coming to North Platte-and to The Quilt Rack & Wool Cubby. This stunning paper pieced wall hanging will adorn your walls as a reminder of this event. The quilt measures 46 x 46" and will be a treasured piece for years to come.